Your redesigned 2015 Mustang is finally unwrapped. No more camo’d up spy shots or taped over front ends–this is the 50th anniversary Ford Mustang you’ll be seeing on dealer lots. These spy shots appear to have been taken inside a testing facility, far away from the public’s prying eye. While there is clearly Evos inspired styling, the car is recognizable as a Mustang. Like we’ve seen in previous spy photos, the front splitter is the same one spotted on the S550 prototypes and the lower LED lighting strip is also present. 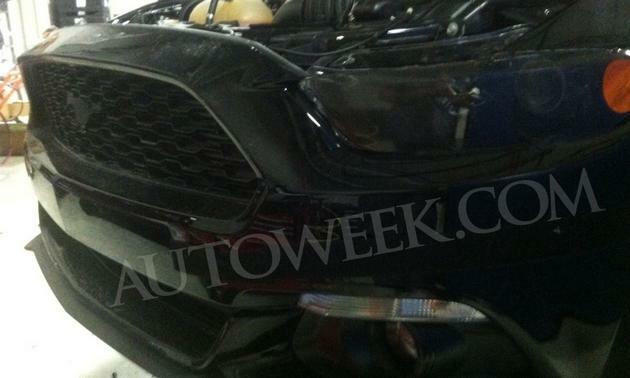 What these photos do reveal is the next generation Mustang’s large front honeycomb grille and a blacked-out pony logo, a piece of the puzzle that has been widely speculated as being “sunk into” the front fascia. Also worth noting is the smoked headlights, a feature that many enthusiasts modify their factory cars to have. Interestingly, the headlights aren’t quite as thin as they might have appeared previously and are a far cry from the slitted headlights on the Evos. Now we’ve heard what the 2015 V8 Coyote will sound like, we’ve heard the new SVT Cobra/GT350 and we’ve even heard the upcoming Ecoboost 4 or 6 cylinder Mustang. The car’s interior has been shot by a spy photographer less than a week ago and we have some cool 3D renderings to get a better idea of what the whole car is going to look like. With all of this information out and the car to debut in April, we’ve got a great deal of information to base judgement on. The last significant piece to the puzzle (besides horsepower and engine specs) is the rear of the car. Whether or not this pony car will live up to the name and reputation it has built over the last 50 years is still yet to be seen. Having seen the actual front end design in all its glory, what do you think of the 2015 Ford Mustang? Credit goes to Autoweek for these spy photographs! SICK In the sense that it’s Awesome! I didn’t know Ford was making a Fusion coupe. Glad I bought my 2014! Are you blind? The front end is Clearly an evolution of the 2013-14 front end which in it’s self was designed after the 67-68 Shelby. 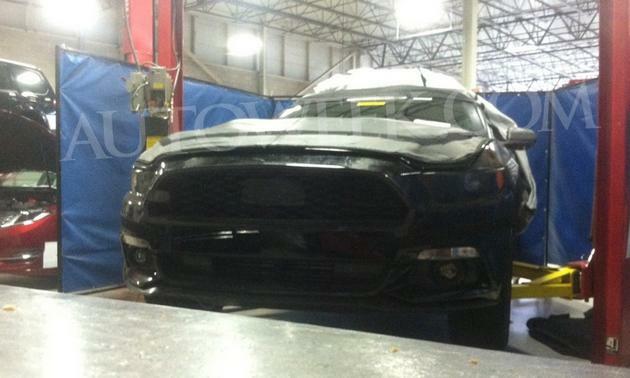 So if anything, the Fusion has a Mustang inspired grill. The biggest difference on the 2015 is the kinks at the bottom corners of the Upper Grill and the fact that the outboard ends of the headlamps wrap around and lean rearward along the line of the wheel arches. This is going to be an Awesome Car! Its definitely going to be awesome… Still has Fusion cues in the front though. They tried to replace the Mustang yrs ago with the Probe and that didn’t work. I hope they come up with a really high power version to take on the ZL-1 Camaro. If I get another mustang it’ll be a 2014 like you did. Glad it doesn’t look like a scion or anything….. WTH! shawn – what a quality stuff – you beat others by a HUGE margin. Still hoping they wont get rid of the Cobra motor and will seriously ditch the Eco Boost POS. If you don’t like the eco boost then don’t buy one. It opens the market more for Ford. It does not look like a Fusion. No one will force you to buy one. The retro age is going out of style and although I am not thrilled with the new design, it is justifiable by Ford. This is NOT the 2015 that you will be seeing on the lots. This is a prototype mule build from last summer. The final will not look like this. Hey LOOK, a Ford Fusion Crashed into a Lancer Evo and the parts got mixed togeather! Seriously, look an a Lancer Evo and Fusion next to this, the lines are so simular. glad that i bought a 14, hate that nose job on a 15.